Product prices and availability are accurate as of 2019-04-24 17:28:14 EDT and are subject to change. Any price and availability information displayed on http://www.amazon.com/ at the time of purchase will apply to the purchase of this product. Create precise duplicates of spindles, table legs, and other turned projects. 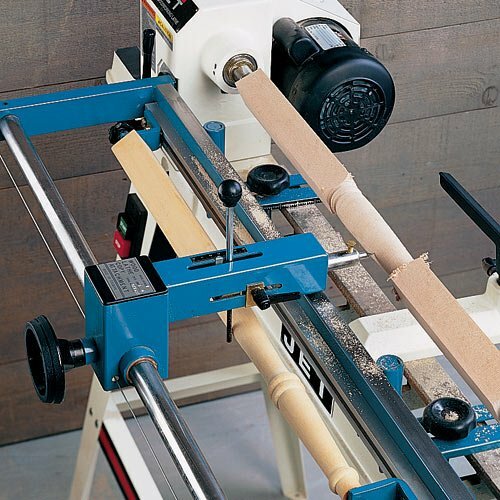 This Lathe Duplicator attaches easily to almost every floor-model lathe. The hand wheel allows for smooth operation while cutting. Will duplicate to a maximum length of 39\" (depending on the lathe used) with a maximum duplication depth-of-cut to 2-3/8". 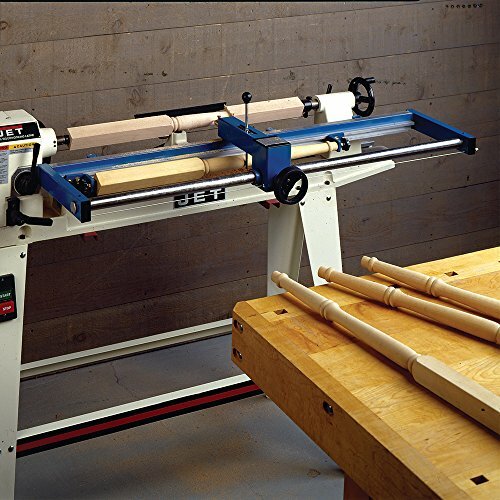 Suitable for lathe with a turning diameter of 12" to 14". Includes high-speed steel cutter. Lathe Duplicator Replacement Cutter available separately.